The heat is on for The Hobbit: The Desolation of Smaug, not only because Smaug finally finds his voice and we get to see him spray some scalding fire but also because more promotional videos are in. Two new TV spots have landed the net, both 1-minute long and featuring old scenes we've seen from the previous two trailers. Within the next two months expect some more fiery promotional materials from the movie as the release date gets nearer and nearer. One thing's for sure, we won't be too cold this Christmas season with the anticipation of this highly-awaited The Hobbit sequel. 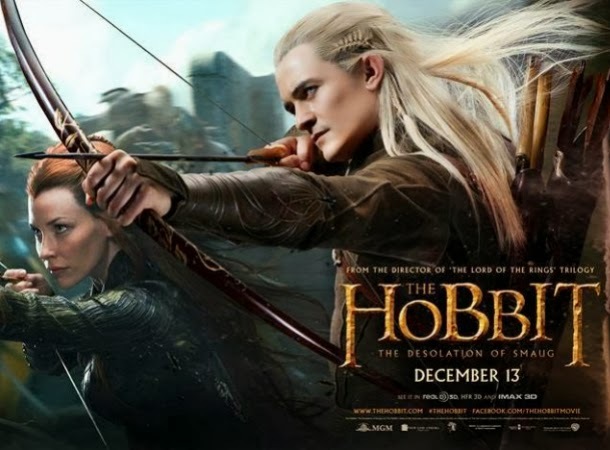 Updated: here is a new The Hobbit: The Desolation Of Smaug TV Spot entitled Destroy Us All. The Hobbit: The Desolation Of Smaug will fire up the winter starting December 13, 2013.